What's cooler than an unzipped jersey, flapping gloriously in the summer sun? 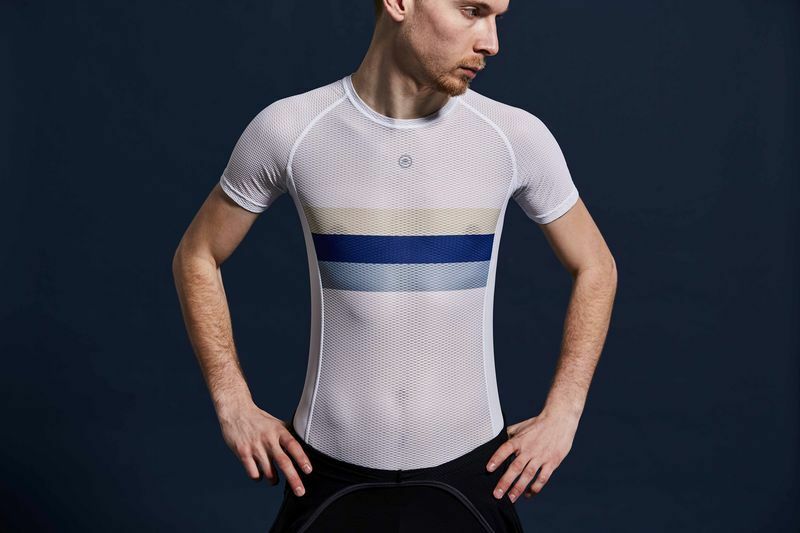 We created our base layers to colour coordinate perfectly with our jerseys. Whether you're at home on the turbo or out in summer sun with your jersey flowing, they'll guarantee you maximum style points and comfort. The Chapeau! Mesh Base Layer is soft on your skin, snug fit and stylish. It will whisk moisture away when you’re working hard all whilst staying fresh and keeping your temperature just right. It's designed to be a ‘can’t live without it’ favourite that’s as home on the turbo in the shed of dread as it is on your summer holidays, racing to the final cafe stop of the day. 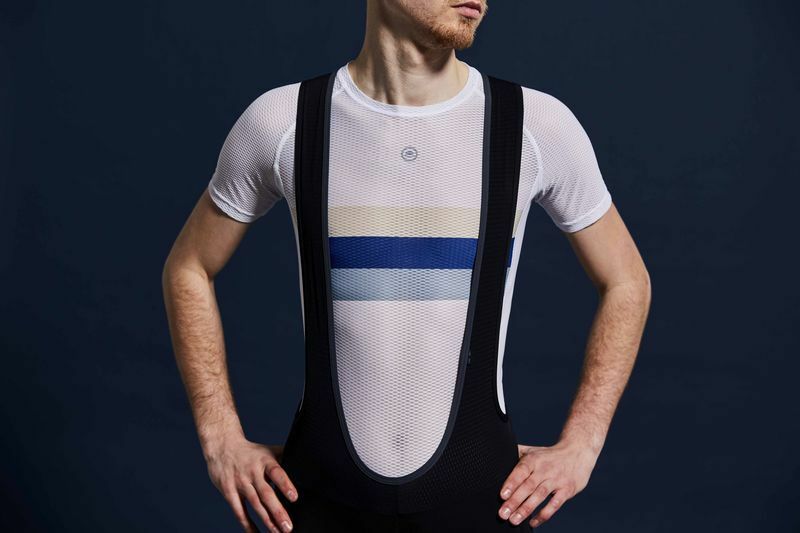 Available with or without sleeves, the Italian kite mesh fabric wicks moisture away from your skin, feels soft and comfy and looks as good in Watopia as it does peaking through your jersey on your local club run. We've created options for co-ordination and earning style points - PBs are multiplied when the base layer options look as sharp as these. You can read our tips for Layering Up here on The Breakaway.